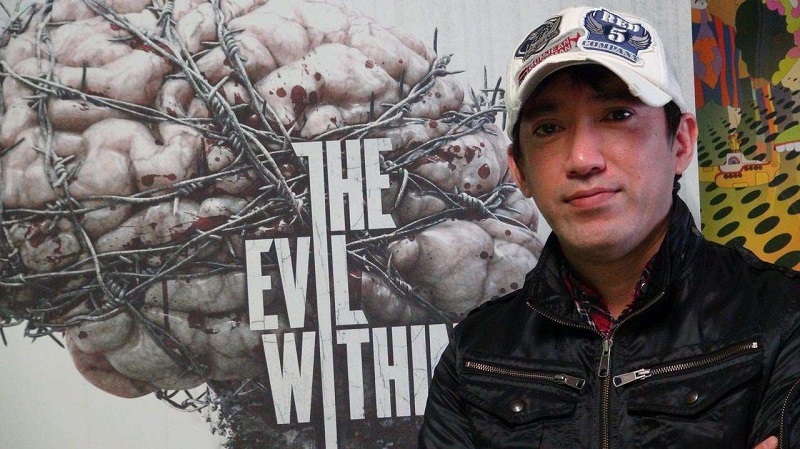 Shinji Mikami is held in high regard within the gaming — especially the horror — community. His work on the Resident Evil series led to the franchise, and himself, to become one of the most well-known game directors around. When gamers first explored the Spencer Mansion, they were gripped with fear. Low on ammunition and supplies, in a sprawling facility filled with zombies and terrifying abominations. Players anxiously crept through narrow corridors, hoping to never encounter the horrors that stalked around each corner at the end of the mansion’s elaborate halls. The success of Resident Evil paved the way for the horror genre as we know it. So, many hope for the father of Resident Evil to return to the series. Shinji Mikami is currently the producer of The Evil Within 2 and was at this year’s QuakeCon promoting the upcoming title. PCGamesN was able to score an interview with him and asked him a question that many horror nerds have pondered late at night: if Capcom asked and gave him complete creative freedom, would he direct Resident Evil 8? Shinji Mikami’s response will make many horror fans jump with the joy of possibility: “I might”. We have an “I might”, ladies and gentlemen! This is not a confirmation that Shinji Mikami will direct Resident Evil 8 in any way, shape, or form. Nor does this mean Capcom will even consider this, but it is nice to know that if they let Mikami have complete creative control over the sequel, he could be interested in returning to the franchise he helped create. Many may recall his hesitation to even play Resident Evil 5, but more recently he’s praised Resident Evil 7. Maybe that’s enough to reforge the bonds between he and his former employer. What do you guys think? Would you welcome Mikami’s return, or has Resident Evil 7 proven that the series is (finally) on the right track without him? Let us know in the comments!